Few children understand the concept of digital footprint. So what is it and how can we help children to better understand it? Digital footprint, is a phrase that is often little understood but is so important. In our most recent research at Zeeko via our digital trend report which we carried out with schools throughout Ireland, 46% of kids surveyed don’t think their digital footprint is very serious or serious. Whereas, 66% of parents are concerned about their child’s digital footprint. So, how can you best explain the concept of digital footprint to your child? Digital Footprint essentially refers to information, be that photos, videos or written information that is posted online. Remember that what is posted online, even by adults, can be easily accessed and viewed by people like current and potential employers. In fact it is often the case that information posted online in many different forms is not easily deleted or removed. This can be particularly challenging to explain to children, as they are usually only concerned with the now, what is happening in the moment and do not often think of the long term consequences of what they post online. One very effective way we have found of explaining the implications of digital footprint to children is to use the T-Shirt Rule. This Rule essentially focuses on encouraging children to think before they post something online. An effective way of making this seem real is to ask them would they feel comfortable wearing what they post online on the front of a t-shirt and wearing that t-shirt all day. This certainly makes children reflect, we also remind them that this is what posting something online is like and that what they post cannot always be easily removed or deleted. For older children we remind them that even though things like messages sent via Snapchat may disappear quickly, it is very easy for someone to take a screenshot of a message and then repost it. Our mantra at Zeeko in relation to posting things online is to ‘Treat the Internet Like a Noticeboard’. Before posting remind your child to think about everyone, people they know and don’t know in some cases, being able to see what is posted. 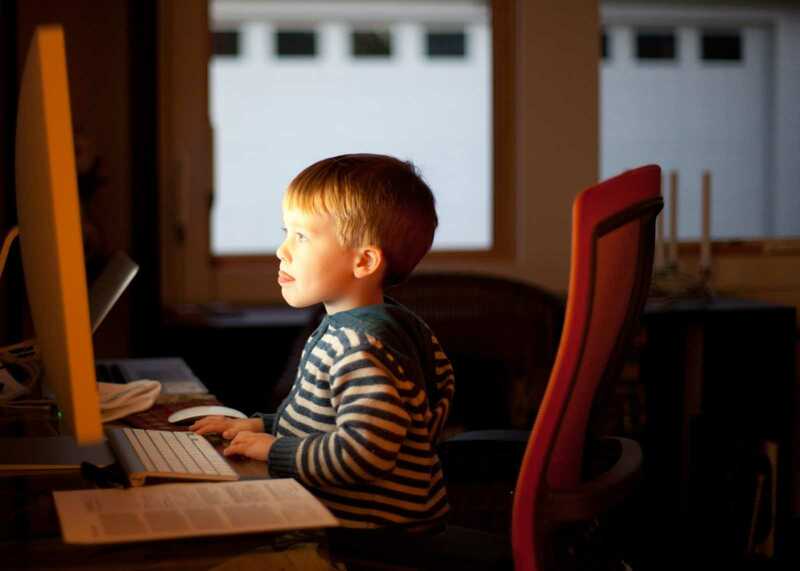 Linked to digital footprint it is important to remind children that they should behave the same way they do when they are online as they would when they are offline. Broadening this out to include a conversation about the importance of telling you about anything they experience that makes them feel uncomfortable when they are online and only interacting with people that they know in the real world will also be helpful. Digital Footprint is a phrase that you are likely to hear again and again as your children grow older and it will have an increasing impact on their lives. Having regular and open conversations with your child about being cautious of what they post online will be a great way to make them conscious of their digital footprint.